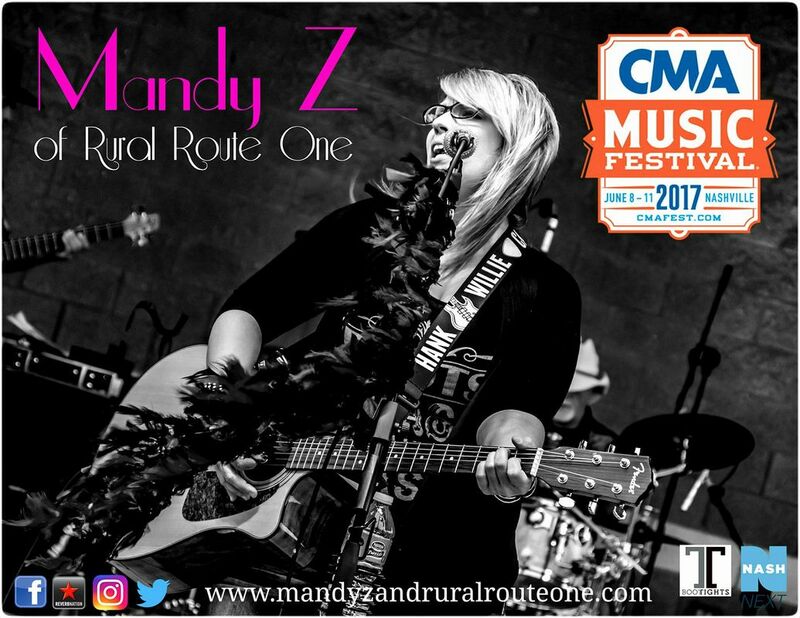 Founded & Fronted by Singer/Songwriter Mandy Z, Mandy Z & Rural Route One is an award winning Country Band that entertains at venues of all sizes, fairs, festivals, events, Bike Runs, & much more throughout the Midwest & Nashville, Tennessee! Visit Lake County, Illinois Broadcasted Live at the 88th Annual Lake County Fair, with host, Mandy from Mandy Z & Rural Route One! THANK YOU﻿ For All of Your Support in Nash Next Season 1! It Started with over 7900 Entries from Across the Country, Narrowed down to the TOP 100 Competing in a Series of Challenges eliminating Contestants each round. The Judges: Kix Brooks of Brooks & Dunn, Producer James Stroud, Cumulus Media EVP John Dickey, Music Executive Scooter Braun, Cumulus Media SVP Content & Programming Mike McVay, & YOU! Challenge 1 - #24 - Cover Song Challenge - Remake of "How Country Feels"
Challenge 3 - #19 - Remake of an Ariana Grande or Justin Bieber Song *Guest Judge Scooter Braun Remade & Countryfied Ariana Grande's "Problems" combined with "Break Free"
June 2015- Long Awaited New Single, "See It From The Other Side" Debuts on Radio Chicago & Milwaukee Markets. So Great to meet so many of you during the 2015 CMA Fest & Fan Fair X in Nashville. Our 3rd Year as part of the event, as a Tootsies Sponsored Artist. June 2015 - iTunes, CD Baby, Reverbnation, Spotify, & More! Download it TODAY on iTunes, CD BABY, Reverbnation, Spotify and Coming Soon to iHeart Radio, Amazon, Pandora, & More!! "See It From The Other Side", Duet Ft. Mandy Z & Brandon Dean, is the long awaited Brand New 2015 Release from Mandy Z & Rural Route One. Keeping with her style of writing that is becoming recognized, it is no surprise to those that know Mandy, that this is a song that tells it like it is; a song that tells a story that so many can relate to about heartbreak, getting over it, & moving on. With so many Male dominated & Male Perspective Songs about Drinkin', Girls, & Pick Up Trucks, like Mandy and Co-Writer, Jim Billmeier (Drinkin Song, 2012 that placed well in the Texaco Country Showdown), Mandy Zahn & Brandon Dean (See It From The Other Side, 2015), have written a song that's a bit different that tells an honest & real story. THANK YOU To Radio Stations Across the Chicago & Milwaukee Markets for Supporting Independent Music & Debuting our New Single upon it's release - June 2015! Huge Thanks to our TOOTSIES NASHVILLE FAMILY For all of your support of Independent Artists! 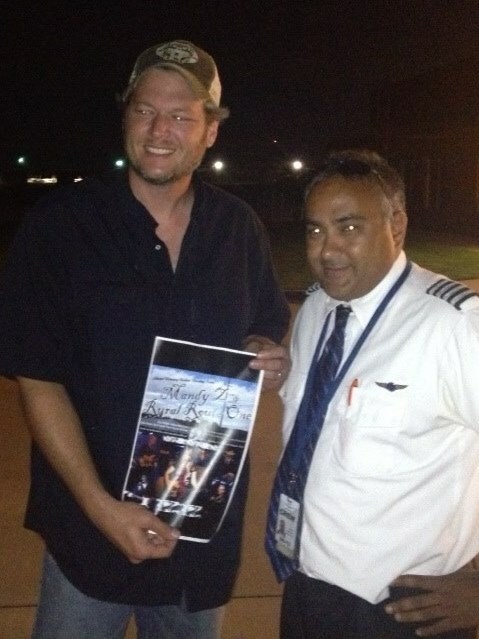 Yes, that is Blake Shelton holding one of our Mandy Z & Rural Route One Promo Posters! 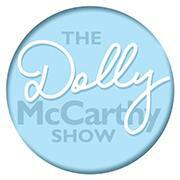 Thank you to the Dolly McCarthy Show for all of your Support! 2014 Single, "This Road With Me"
Thank you FM106 Milwaukee Country for your Support of Local Artists! Thank you to Katie and the Honky Tonkin USA Team! Check out their site for everything about Music, Food, & Fun!